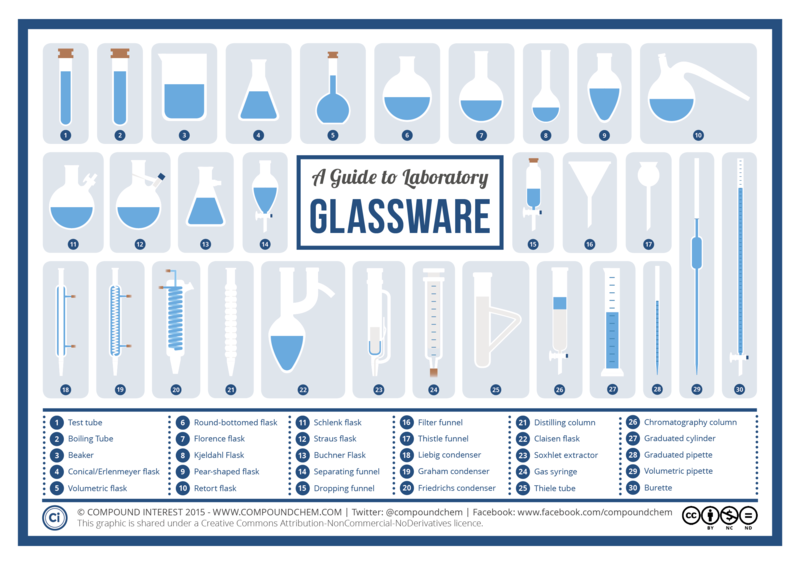 Glassware in the laboratory comes in a range of different shapes and sizes, and is used for a number of purposes. 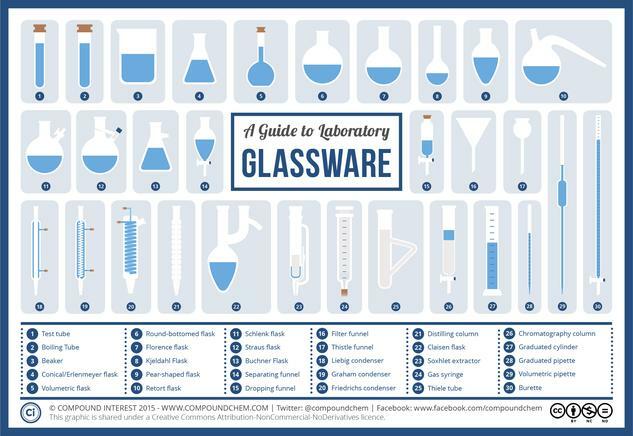 Don’t know your round-bottomed flask from your Florence flask, or your pipettes from your burettes? This graphic has you covered.